Taken in the Eastern Sierras a few days after a light snowfall, a lichen-covered rock begins appearing from beneath the snow. The vibrant color of the yellowish-green lichen attracted me to this intimate scene. In contrast to the grays and whites in abundance, it was a beacon of color that drew the eye. Taken with a Nikon D800 and Nikkor 80-400mm lens. 1/8 second @ f/11, ISO 100. 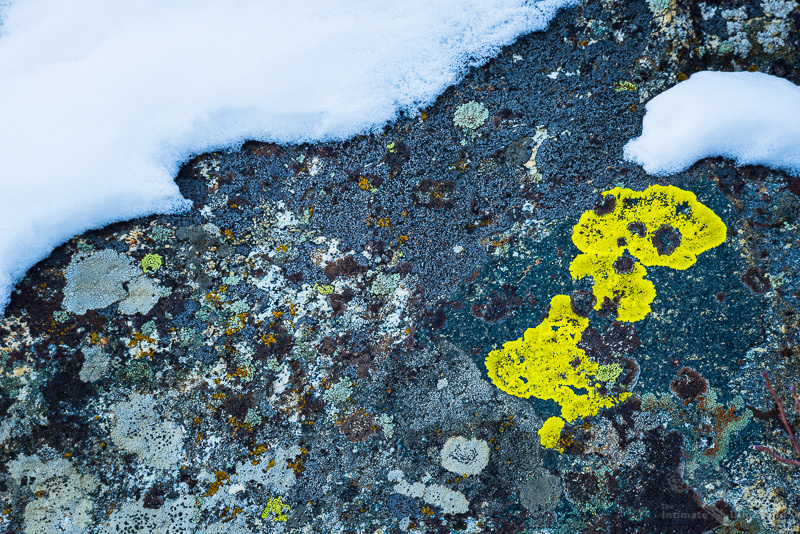 This entry was posted in Landscape Photography and tagged colors, gray, lichen, rock, snow.